During the initial design phases of Roy Thomson Hall in the late 1970s, plans included the installation of a large and eclectic concert organ capable of performing the entire corpus of the instrument's literature: from solo works to hymns, from concerti to choral accompaniment. The organ planning committee, a distinguished roster of musicians including Sir Andrew Davis, Hugh McLean and George Brough, selected renowned organ builder Gabriel Kney of London, Ontario to design and build this instrument. The organ was to become, and remains to this day, one of the largest mechanical-action instruments in Canada. 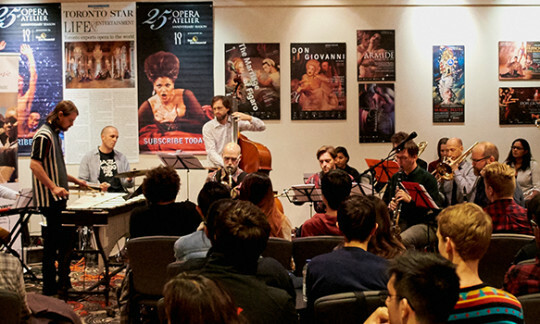 At a cost of over $650,000 and over 20,000 hours of labour, the instrument was inaugurated on September 18th 1982, in a weeklong series of festive events coordinated with the official opening of Roy Thomson Hall. At its core, the organ is heavily influenced by what is known in German as the Werkprinzip, the classic design concept behind some of the finest organs from seventeenth- and eighteenth-century Saxony. The prevailing principal in a Werkprinzip organ is that each division inside the instrument, controlled with its own keyboard, be spatially separated from the other divisions, and have its own distinct palette of tone colours - rather than creating one uniform mass of sound. The organ at Roy Thomson Hall is distinguished also by its two consoles and duplicate key action. Organists may play either from the attached console in the organ gallery, or from a moveable detached console on the stage. The gallery console is connected to the pipes through a mechanical linkage system known as tracker action, and is suitable for performing classic organ literature (Bach and earlier) whose subtleties are best served by this action's inherent tactile sensitivity. Later organ repertoire, conceived in principles of 19th century piano music emphasizing technical rigour, is best served by the stage console, which is connected to the pipes by a series of electric wires and pneumatic devices known as electro-pneumatic action. Both of these excellent consoles offer different advantages: while tracker action offers the organist more precise control over the instrument, electric action offers more flexibility and increased visibility between performer, conductor and audience. At the time of his arrival in Canada, Gabriel Kney (b. 1929) had amassed a wealth of organ building experience in his native Speyer am Rhein, Germany. He perfected his craft with master builders Paul Sattel and Franz Nagel, before bringing his extensive knowledge to this country, co-founding his own firm in 1955. At the time, mechanical action instruments in North America were just beginning to receive widespread recognition. Kney's reputation spread quickly, however; by 1996 he had produced well over 100 instruments, most of which were delivered to the United States. 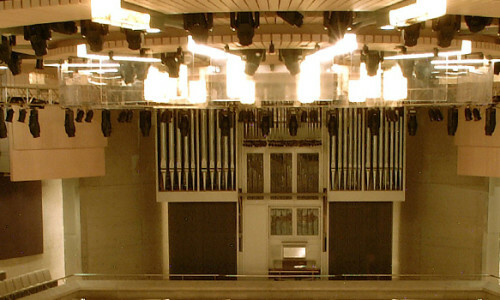 On the occasion of the successful renovations to Roy Thomson Hall in 2002, the organ was completely revoiced by Gabriel Kney, so as to best take advantage of the improved acoustic properties of the venue. 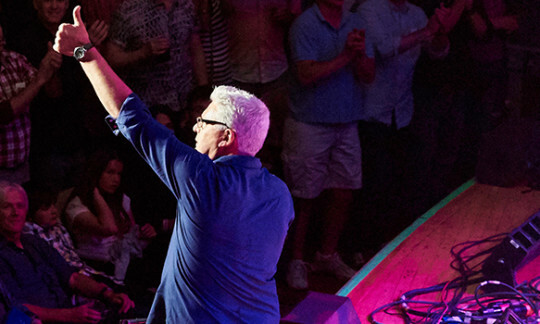 Share the Music, an arts and education outreach program presented by the Corporation of Massey Hall and Roy Thomson Hall, celebrates its 18th season of sharing music with young people (ages 8-18) of all backgrounds.